Our ladies and guys stainless steel 6oz hip flasks are designed, printed and hand applied in South Carolina. Flasks are wrapped in high quality long, lasting vinyl and guaranteed to please this holiday season. Perfect for stocking stuffers! 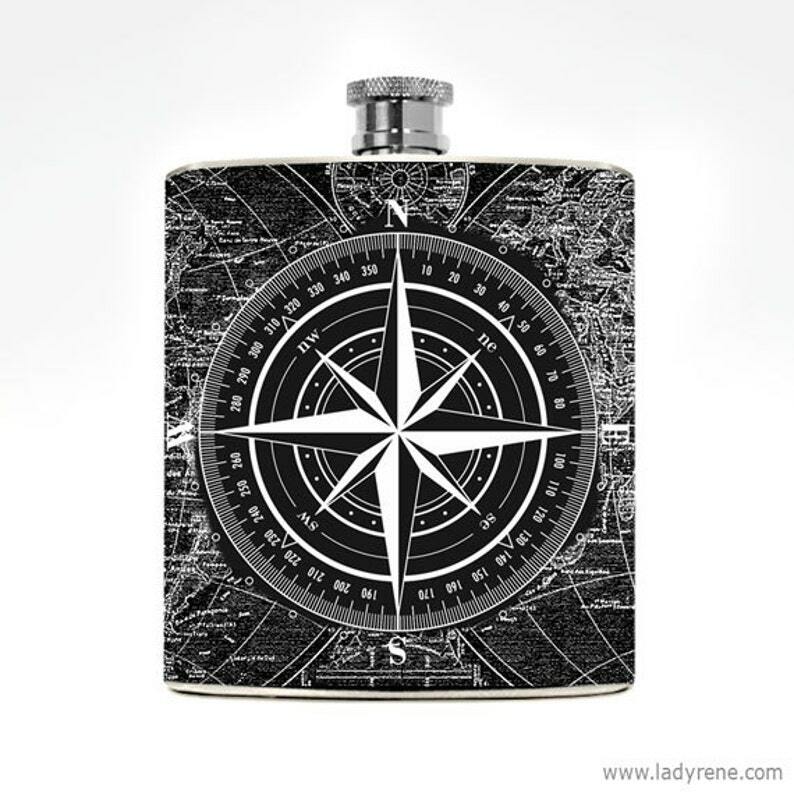 Our mens traveler compass flask is pocket sized for easy portability. Perfect service, and perfect item! The awesome people here helped me (even during the busy holiday season) to fit a larger quote on the flask, and still make it look *perfect*. The quote was really important, for me, to have on the flask - so, this was a big deal. The boyfriend couldn’t stop smiling! Thank you!! !